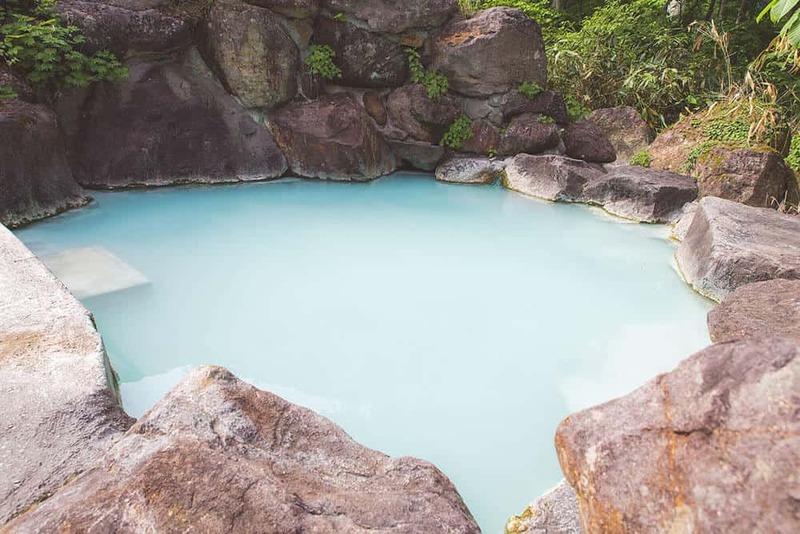 Set on a spectacular cliff-side next to a fast-flowing river Tsubame Onsen is a great destination for those wishing to experience something off the beaten track. 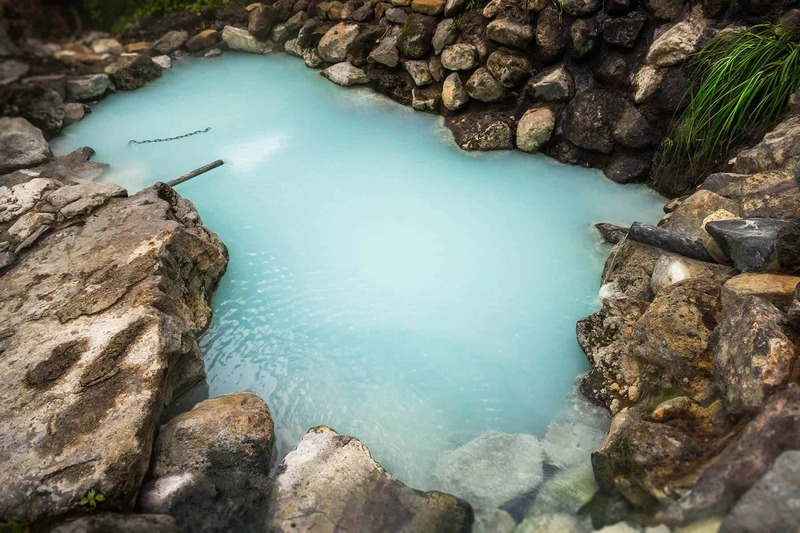 The spring boasts white mineral rich waters which are supposed to have great healing properties especially for rheumatism, neuralgia, and various skin ailments. The atmosphere here is beautiful. The secluded onsen and the peace that comes with being in the middle of nowhere with nothing around you is so relaxing. 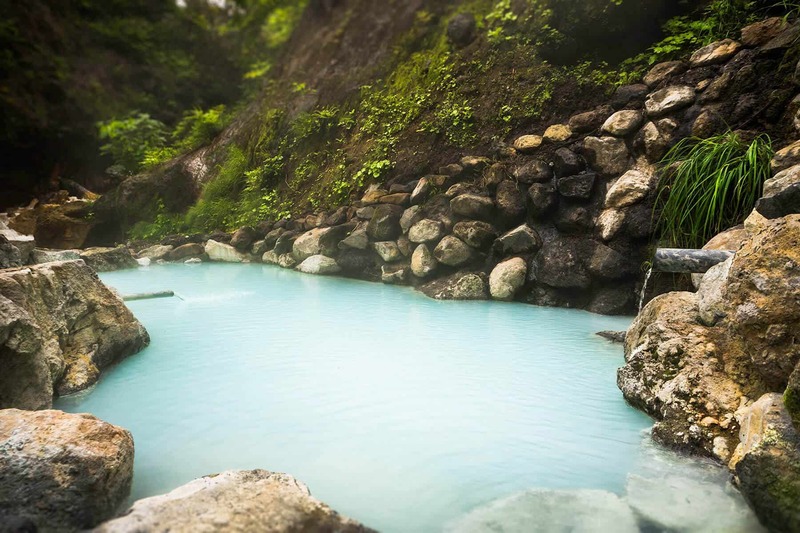 The onsen are reachable from around June and stay open until the heavy snow starts to fall around December time. Ougon no Yu, which has 2 pools separated by a rock wall, is one of the two free onsen that can be reached by walking up the steps leading up to Mt. Myoko from the top of the village area. Take the path to the left for about a minute up a flight of steps. 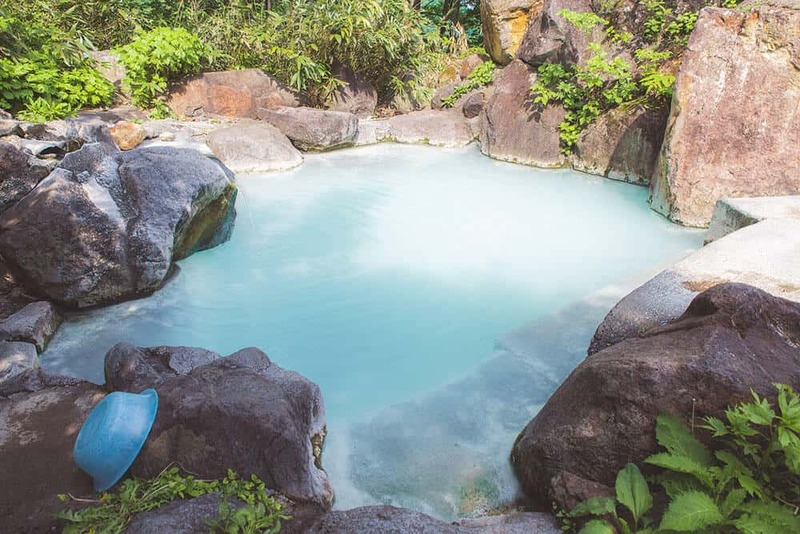 The other, Kawara no Yu, is a mixed gender outdoor bath. For this one you should take the right track through the forest for about ten minutes and then dip down under the bridge after you have crossed over it. You will need to take your own towels. There is a small changing hut available next to the bath. You will need to take a train and bus to reach the area from Myoko Kogen but it is well worth it. 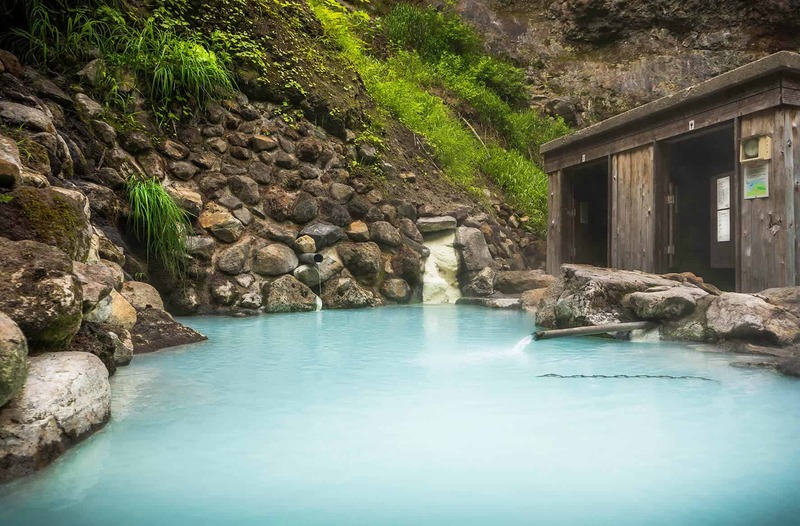 These baths are stunning and the area is beautiful. In Spring the baths are still surrounded by walls of snow. The outdoor baths are free of charge, but you need to take your own towels.